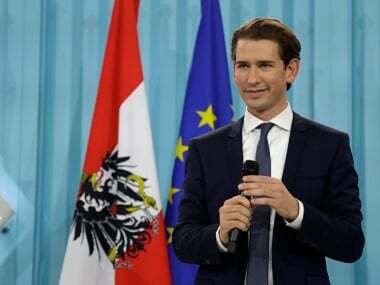 Just as Europe's liberals were rejoicing the victories of Emmanuel Macron in France and Angela Merkel in Germany, along came Austria. Conservative Sebastian Kurz and his Austrian People's Party (OeVP) is projected to have claimed over 31 percent of the popular vote, ahead of the Social Democrats (SPOe) of incumbent Chancellor Christian Kern on 26.9 percent. Snapping at their heels, however, is the Far-Right Freedom Party (FPOe). Kurz, 31, will need to form a coalition and his most likely partner is seen to be the FPOe and not the SPOe. Media reports from Vienna say OeVP and FPOe have begun backroom negotiations, and FPOe leader Heinz-Christian Strache is already demanding key ministerial positions. If the two decide to join hands, incumbent Chancellor Christian Kern of the SPOe could be forced into the Opposition, his promising campaign now suffering from many blunders and scandals. Kern, in office since last May, issued a final warning against the Right-wing alliance, saying "Austria was at the most important crossroads in decades". But these words are likely to have little impact with Austrians seemingly having made up their minds about 31-year-old Kurz, who could become the world's youngest head of government. Kurz, who currently serves as Austrian foreign minister, has been riding on a stream of anti-immigrant anxiety. As mentioned by Vox, Kurz advocates a hard line on migrants. He has decried the distribution of social benefits for newcomers and claimed that it was his work as foreign minister that closed down the "Balkan route" asylum seekers used to reach Austria and Germany. Furthermore, he has also advocated for a change in tax policy — dramatically lowering taxes — which appeals to those who feel the Austrian welfare state is too much of a drain on personal coffers. Kurz, known as 'Wunderwuzzi' in Austria, is the one who ordered snap elections in late spring, reading correctly the resentment and anger with regards to the influx of migrants. As conservative as Kurz is, the FPOe is far worse. Founded by former Nazis in 1955, the FPOe is actually among Europe's oldest surviving parties. The party, like other similar far-right parties like Alternative for Germany (AfD) and France's National Front, is strongly anti-Islam and anti-immigration. In its programme statement, the party has said, "Austria is not a country of immigration. This is why we pursue a family policy centred around births. Legal and legitimate immigrants who are already integrated, who can speak the German language, who fully acknowledge our values and laws and have set down cultural roots should be given the right to stay and obtain citizenship." And like the AfD, the FPOe also benefited by the refugee crisis and the wave of migrants who have poured into Germany and Austria. European leaders are worried about the policies that the OeVP and FPOe may pursue after they join hands. A report on Newsweek has argued that aside from pushing for a crackdown on immigration and Islam, the party has strong views on Austria’s policy toward the EU. It is strongly Euro-sceptic and is opposed to deeper EU integration. It would also like Austria to align itself more closely with the Visegrad Group — an alliance of central European countries whose intolerant line on refugees sets it apart from some more liberal Western European states. "We will... strengthen contact with the Visegrad States and it would be nice and good if we could maybe even become a member of the Visegrad Group," FPOe chief Heinz-Christian Strache had said recently. The Visegrad Group include Poland, Hungary, the Czech Republic and Slovakia. Outwardly, however, European leaders have adopted a wait-and-watch approach. German chancellor Merkel congratulated Kurz on the victory and the "energetic modernisation" of his party. 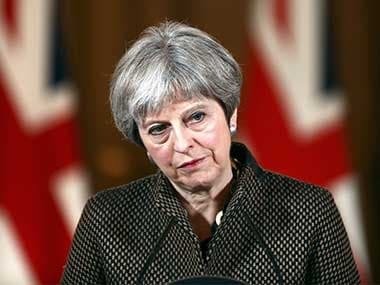 She declined to comment on which coalition arrangement she wanted to see but said that the Freedom Party's strength would be a "major challenge" for its Austrian rivals. Merkel said that the challenge posed by the Right-wing populist AfD was "manageable" compared with the FPOe's strength, and said she hoped for close cooperation with Kurz at the European level. European Commission president Jean-Claude Juncker alluded to concerns about a Euro-sceptic government in Vienna. The Brussels chief executive wished him success in forming a "stable, pro-European government", but didn't mention if the EU would insist Kurz shun the FPOe, as EU leaders had similarly pressured then Chancellor Wolfgang Schuessel to do, back when he formed a coalition with FPOe's Joerg Haider in 2000. Which direction Austria ultimately takes will depend on what kind of a coalition Kurz can stitch up, and if the FPOe does decide to demand its pound of flesh from the young leader.